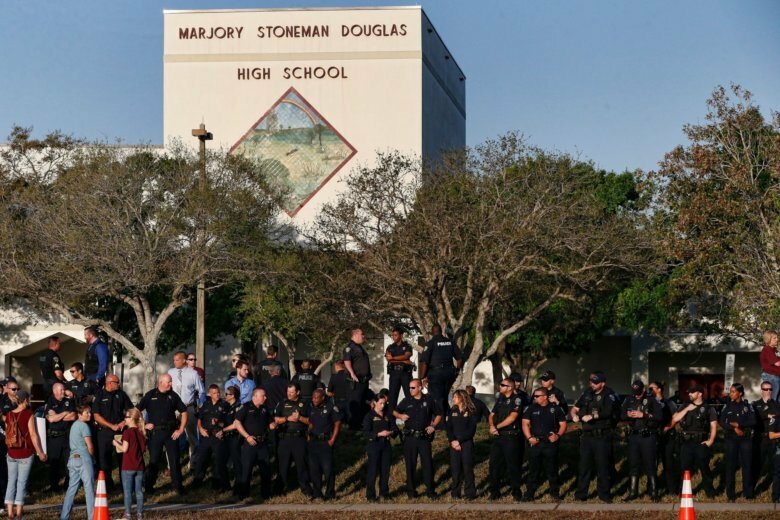 Marjory Stoneman Douglas High School students and staff return to the school on February 28, 2018 -- two weeks after the mass shooting in which 17 people died. The student, who was enrolled at the Parkland, Florida, school at the time of death, has not been publicly identified. The death occurred Saturday evening and is under investigation. It’s unclear under what circumstances the student died, or what connection, if any, the student had to last year’s shooting at the high school. News of the student’s death comes as the Parkland community is mourning the passing of a former Marjory Stoneman Douglas student, Sydney Aiello, who died last Sunday. Aiello, who survived the 2018 massacre at the school, took her own life after suffering from survivor’s guilt and being diagnosed with post-traumatic stress disorder, her mother told CNN affiliate WFOR. Seventeen people — 14 students and three staff members — were killed when a gunman opened fire at the high school on February 14, 2018. The shooter, who confessed, has been indicted on 17 counts of murder.